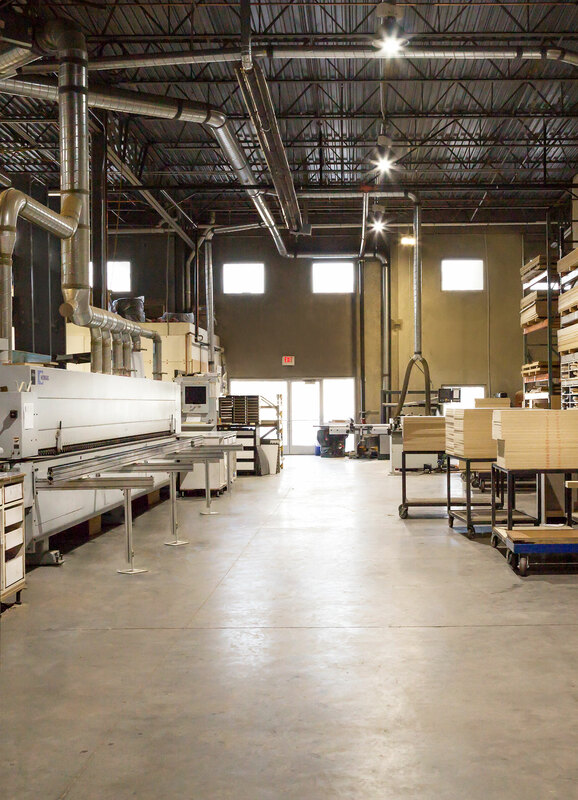 Outsourcing your cabinet boxes to Alpha Cabinet Components, gives you the ability to control labor costs, provide consistent quality without investing in costly machinery and eliminate material waste, among others. With a 10 day turnaround time and the option of shipping worldwide, we make it possible to provide or install casework anywhere, anytime. We are capable of providing any of your custom requirements; modify the width, height or depth of any module, choose from over 90 melamine colors including solid colors, patterns or woodgrains. Choose from Particle Board, MDF, Plywood or Performance cores. Confirmat screw or dowel construction methods, custom boring patterns, door and drawer front reveals, drawers box materials, all help make your experience easy and stress free. If you don't see it on the order form, call Alpha for information.